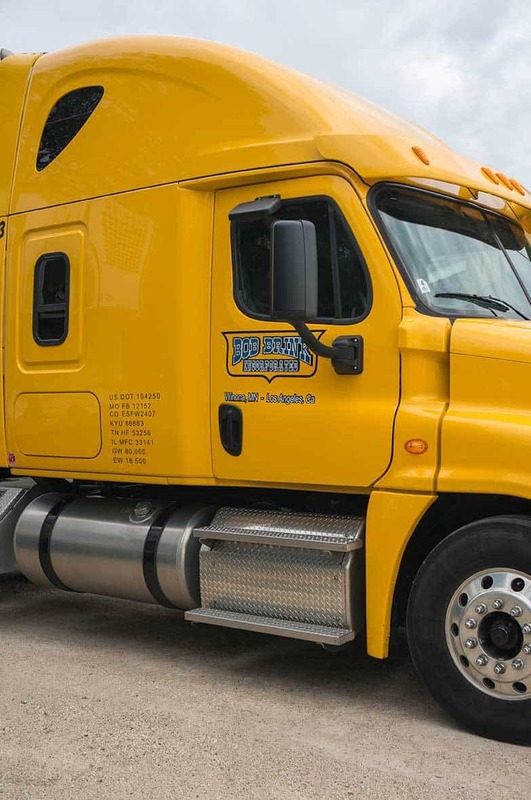 At Bob Brink, we are primarily an LTL carrier, working hard to offer the business facilities and employ and train the high quality people that drive a great working organization. Our trucking services emanate from both our Winona, Minnesota and our Paramount, California business locations. We offer specialized trucking services, with all of the necessary support that our drivers need to be successful. An outstanding feature of our specialized operation is the 2,000 sq. foot freezer we maintain on the premises. This freezer allows us to “stage” our freight product for direct loading to the road trailers, eliminating transfers and handling from trailer to trailer, as it was done in the past. We monitor these temperatures as we do our refrigerator trailers. This freezer is maintained for our own company’s use, as it is never used for commercial purposes. For the most part, the doors are only opened for loading and unloading. Our drivers record temperatures every 4 to 6 hours when they check the units. This is recorded on a standard form that is issued to them on every trip. Although we don’t deliver any food products, the specialized nature of our cargo requires that we haul our freight frozen. High value aerospace materials, industrial composite products, and hazardous materials shipments are all delivered using refrigerated trailers. Transporting and handling LTL refrigerated product is very technical and requires a great deal of care and expertise. Our company strives to build and accumulate the valuable expertise necessary to consistently deliver world-class specialized trucking services to our valued customers.